You can check out his first post here, written on 1st May 2016! He has written about a 100 posts since then! What I like most about his writing is that it covers recent research aspects Ketamine - A new antidepressant!! and many more) He not only covers the information we already know, but also the new advances that is being researched and the knowledge we are yet to discover. I absolutely love it! I also likes that he works hard. He's helped me out in a TON of Medicowesome work (without even me asking for it!) including broadcasts, contents page updating, editing new authors drafts, adding new awesomites to the study groups etc. He's so passionate about blogging. We have had looong discussions on - What can we do different? How do we make the blog better? 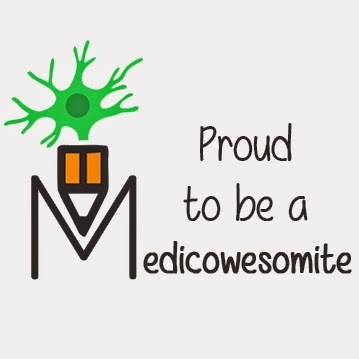 They've helped Medicowesome a lot!